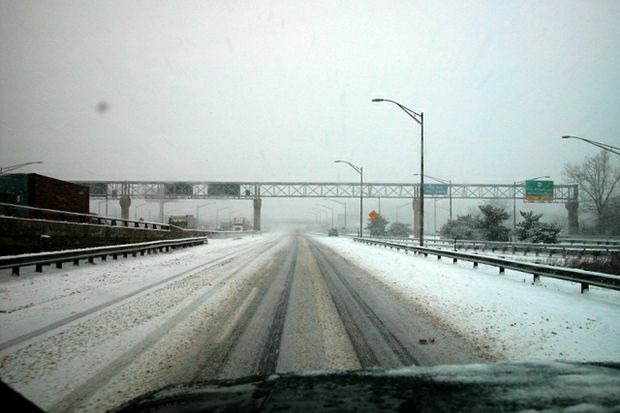 Winter Weather Conditions Forecast to Sweep Across Texas; Are You Ready for Winter Driving? (Irving, TX) – The National Weather Service forecasts winter weather conditions could impact many parts of the Lone Star State this week. Since many Texans are not used to driving on wet or icy conditions, AAA Texas recommends drivers read and recall winter driving techniques before the weather outside turns wet and icy. Before traveling in wintery conditions, it’s important to prepare your car for the weather. A vehicle owner’s manual can help determine your winter maintenance requirements. Some things to consider include inspecting the battery, ignition system, lights, brake system, tires, exhaust system, heating and cooling system, windshield wipers, washer and glass. Some items can be inspected by a car owner, but others should be performed by a certified technician. To locate a nearby AAA-approved repair shop visit AAA.com/Repair. The AAA Approved Auto Repair program is a free public service that helps motorists identify high-quality auto repair facilities they can trust to work on their vehicle. It’s important when driving in winter conditions to drive distraction-free and in the right frame of mind. The AAA Foundation for Traffic Safety found that looking away from the road for just two seconds doubles your risk of being in a crash. AAA Texas recommends if you’re driving with a passenger, ask for the passenger’s help to carry out activities that would otherwise distract you from driving safely. Following distances of three to four seconds for dry pavement should be increased to eight to 10 seconds when driving on icy, slippery surfaces. The extra time will allow for extra braking distance should a sudden stop become necessary. If driving on a four-lane highway, stay in the clearest lane; avoid changing lanes and driving over built-up snow or ice. Do not use cruise control when driving on any slippery (wet, ice, snow, sand) surface; not using cruise control will allow you to respond instantly when you lift your foot off the accelerator. Some driving situations require abrupt action to avoid a crash or collision and in winter conditions the decision to steer or brake can have very different outcomes. When traveling more than 25 mph, AAA Texas recommends steering over braking to avoid a collision in winter-like conditions, as less distance is required to steer around an object than to brake to a stop. In slick conditions, sudden braking can lead to loss of vehicle control. However, sometimes steering is not an option. Braking on slippery surfaces requires you to look further head and increase following and stopping distances. Plan stopping distances as early as possible and always look 20-30 seconds ahead of your vehicle to ensure you have time and space to stop safely. Shaded spots, bridges, overpasses and intersections are areas where ice is likely to form first and will be the most slippery. It is important to adjust your braking habits as road conditions change. Additional information on driving in winter conditions can be found in the online AAA brochure How to Go on Ice and Snow. If you find your vehicle stuck in the snow or ice, AAA Texas members needing assistance can request roadside rescue at 1-800-222-4357 or 1-800-AAA-HELP. Android and iPhone users can download AAA Mobile, AAA’s mobile smartphone app that provides AAA services for all motorists, such as mapping and gas price comparison, as well as member-exclusive benefits including roadside assistance and discounts. AAA Membership is not required to download and use AAA apps, but is necessary to take advantage of unique member benefits such as roadside assistance. For more information on AAA Mobile, visit AAA.com/Mobile. Follow AAA Texas online at: www.Facebook.com/AAATexas or on Twitter: @AAATexas.